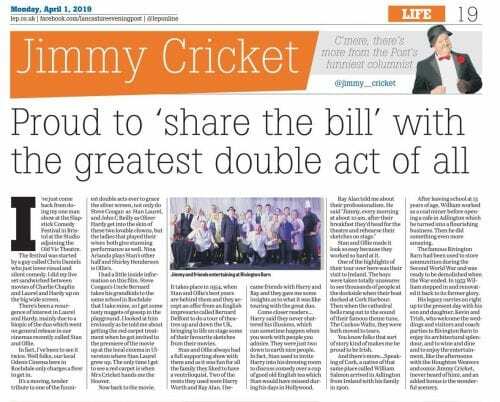 Jimmy Cricket writes about his admiration for a legendary comedy duo in his latest newspaper column. 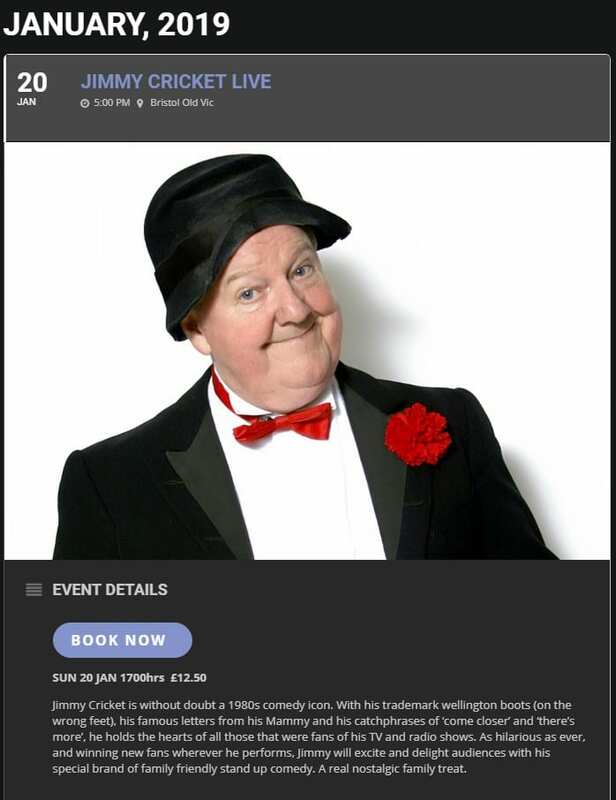 In the 1 April edition of the Lancashire Post, the popular Northern Irish entertainer reviews a recent film about the careers of Englishman Stan Laurel and American Oliver Hardy. They acted during the early Classical Hollywood era of American cinema and became well known during the late 1920s to the mid-1940s for their slapstick comedy. Laurel played the clumsy friend of the pompous Hardy. 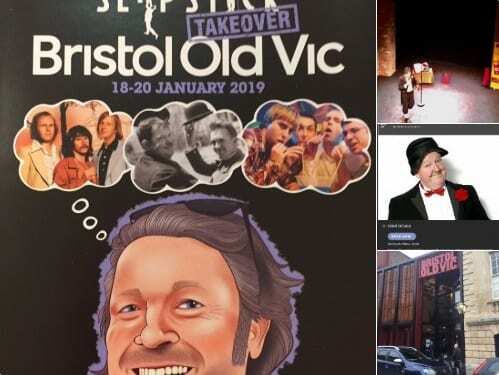 Jimmy’s column begins: I’ve just come back from doing my one man show at the Slapstick Comedy Festival in Bristol at the Studio adjoining the Old Vic Theatre. The festival was started by a guy called Chris Daniels who just loves visual and silent comedy. “I did my live set sandwiched between movies of Charlie Chaplin and Laurel and Hardy up on the big wide screen. There’s been a resurgence of interest in Laurel and Hardy, mainly due to a biopic of the duo which went on general release in our cinemas recently called Stan and Ollie. “In fact, I’ve been to see it twice. Well folks, our local Odeon Cinema here in Rochdale only charges a fiver to get in. It’s a moving, tender tribute to one of the funniest double acts ever to grace the silver screen; not only do Steve Coogan as Stan Laurel, and John C Reilly as Oliver Hardy get into the skin of these two lovable clowns, but the ladies that played their wives both give stunning performance as well. “Nina Arianda plays Stan’s other half and Shirley Henderson is Ollie’s. I had a little inside information on this film. 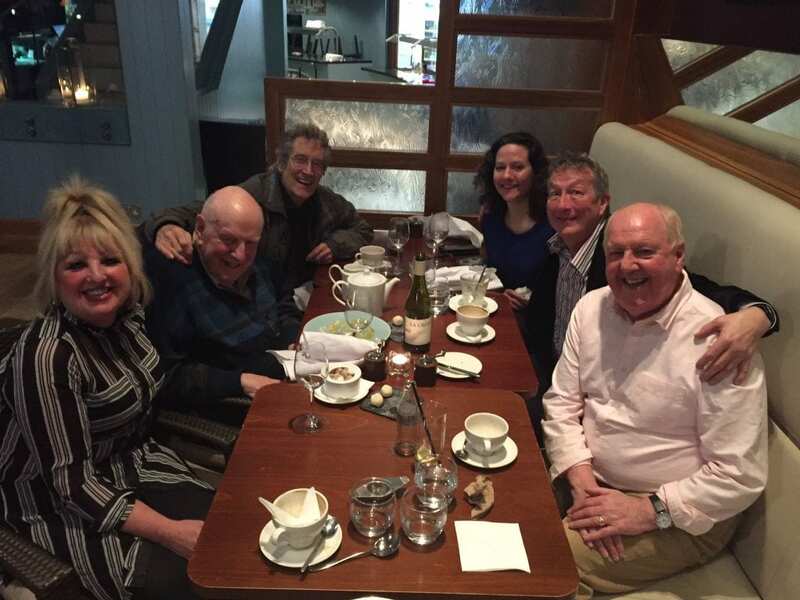 Steve Coogan’s Uncle Bernard takes his grandkids to the same school in Rochdale that I take mine, so I get some tasty nuggets of gossip in the playground.